Super Bowl of Wine - Write for Wine: It's Wine O'Clock Somewhere!Write for Wine: It's Wine O'Clock Somewhere! This four-day experience is packed with diverse activities, and different pass options. 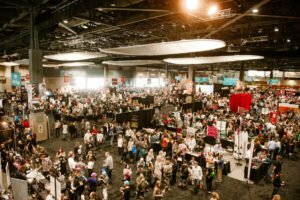 Connoisseur pass holders gain entry to the full wine and food wonderland, adding up to four days of non-stop deliciousness. The Enthusiast pass offers VIP access to The New Vintage and both days of the Grand Tasting. You can purchase a two-day Grand Tasting ticket, or a one-day ticket for either Saturday or Sunday. 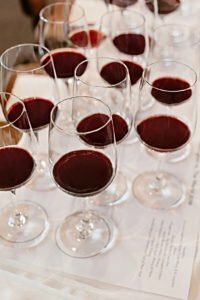 We love to go to Taste Washington every year and are really looking forward to the 2019 spectacular. Every year, we give this same crucial advice to making the most of your Grand Tasting experience. Before you enter the doors, we highly recommend that you develop a plan. Because once there, you will be hit with a massive amount of taste potentials — and it can be overwhelming. And wear comfortable shoes! But do not wear perfume or cologne. Have questions? There might be answers in the Taste Washington FAQs. This entry was posted in Columbia Valley, Horse Heaven Hills, Lake Chelan Valley, Red Mountain, Spokane, Walla Walla, Washington, Wine, Wine Events, Woodinville, Yakima Valley and tagged Taste Washington, Washington wine, Washington wineries, wine, wineries by Margot. Bookmark the permalink.